Don Won Choi's "The Bath of Meditation"
Choi's project was inspired by the dependancy people have developed on technology, more specifically phones. 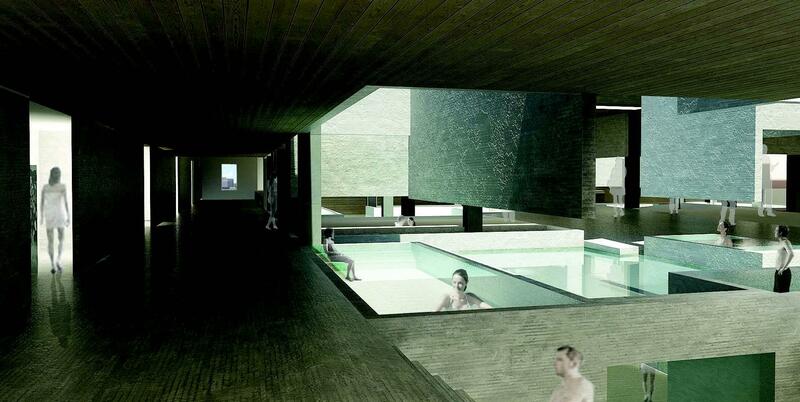 In his bathhouse, users are detached from their mobile devices upon entering. Instead of virtual connections, people in the space must make connections either with each other or with themselves. Nier designed a creative community center where overlapping communities, arts and lifestyles are able to freely interact with one another. 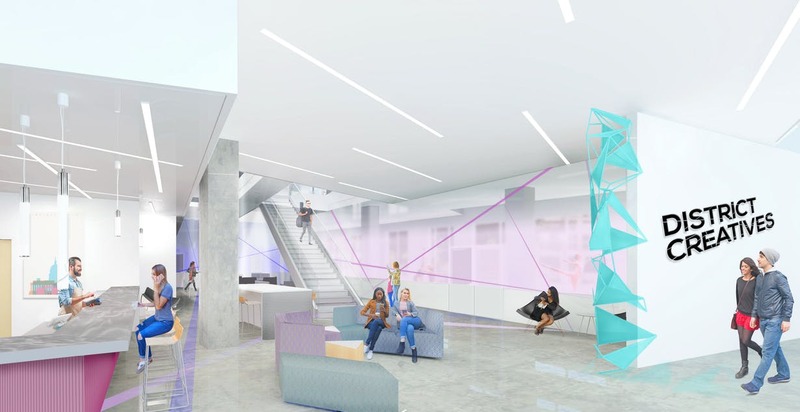 Visual overlap through the three-story space encourages branches of the performing and visual arts to converge and artists from a variety of disciplines to collaborate. To see more student work, check out the Interior Architecture Class of 2018 Yearbook.